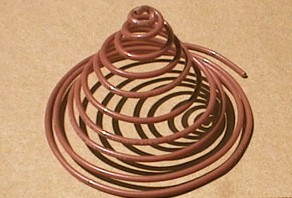 AFTER I wrote A Circle yesterday, the image of a spiral came to mind. Yes, of course, as Scripture circles through each age being fulfilled on more and more dimensions, it is like a spiral. The spiral image which came to mind was one that gets smaller and smaller toward a pinnacle. If we think of the passage of time like a spiral, then we see two things: the multi-dimensional fulfillment of Scripture through each layer of the spiral (see A Circle), and the acceleration of time along the spiral as it reaches the pinnacle. If you’ve ever dropped a coin or a ball into a spiral ramp or toy, even though it maintains a circular path, the coin moves faster and faster through the spiral. Many of us are feeling and experiencing this kind of acceleration today. Perhaps this spiral is more than an analogy. God has designed this spiral pattern throughout creation. If you watch water drain into a sinkhole or tub drain, it flows in the pattern of a spiral. Tornadoes and hurricanes form in a spiral pattern. 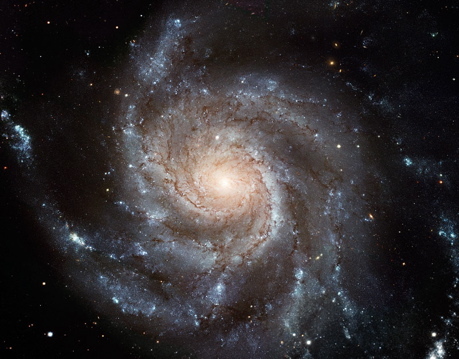 Many galaxies, including our own, are spirals. And perhaps most fascinating is the spiral or helical shape of human DNA. Yes, the very fabric of the human body is made up of spiraling DNA which determines the unique physical characteristics of each and every individual. Even the miracle of the sun, as witnessed in Fatima and in various places throughout the world, is often a spinning disc, at times, spiraling towards the earth…. If God’s creation moves in the direction of a spiral, perhaps time itself does as well. The significance of this is that it becomes a sign of the times. Time does seem to be speeding up beyond the normal experience that comes with aging. And along with this rapid movement of time are other signs which all seem to point to one thing: Humanity is moving into the final spirals of history toward the pinnacle—The Day of the Lord.